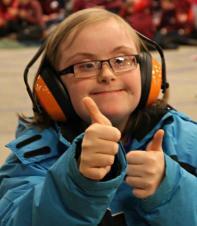 HCPT is committed to safeguarding and promoting the welfare of children, young people and vulnerable adults. It expects all of its Trustees, helpers and staff to share this commitment. HCPT recognises its responsibility for safeguarding children, young people and vulnerable adults whilst providing quality pilgrimage holidays and residential retreats. In particular it recognises the additional vulnerability of those disabled children and vulnerable adults who may be making their first holiday away from home and loved ones. All HCPT staff, Group Leaders and Deputy Group Leaders receive robust safeguarding training prior to travel, and are expected to offer thorough preparation to all helpers travelling with their groups. All volunteers with HCPT must have a qualifying certificate from DBS, or a PVG membership or comparable (from other countries). Since December 2015 all DBS applications have been handled here.